The Singapore-based festival will take place at the Singapore Indoor Stadium. 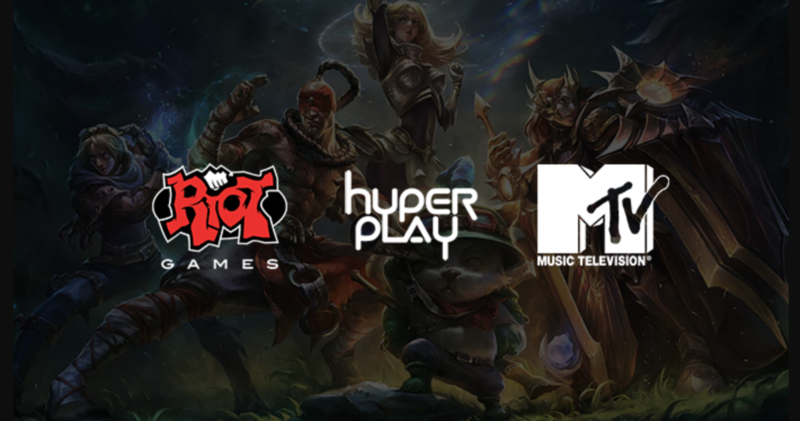 Riot Games is working on a new endeavor that you may not have expected – a collaboration with MTV on a music and esports festival. It's called Hyperplay, and it's based in Singapore. Perhaps it's not too surprising, given Riot's past work with bands like Imagine Dragons and the formation of the League of Legends-related metal band Pentakill. The most interesting aspect, however, is the company's partnership with MTV to bring it all together. The Singapore Ministry of Culture, Community and Youth (MCCY) and National Youth Council (NYC) are working together with Riot Games to livestream the festivities so everyone can see what's going down. During the festival, there'll be a League of Legends ASEAN (Association of Southeast Asian Nations) tournament hosted as well as the MTV Spotlight. That's where the music comes in, you see, with a selection of various artists invited to perform on stage and then edited down into a 60-minute special that'll air on Southeast Asia's MTV on August 21. There's no word just yet on whether or not Riot's metal "virtual" band Pentakill will be making an appearance or not, but it'd be a boon to include the fan-favorite tunes from the ensemble, especially since their second album ended up on the Billboard Top 40. “There is a natural synergy between esports and music and with MTV’s expertise in creating compelling music and pop culture experiences, we are amplifying the discovery of a new entertainment experience in the region," said senior vice president of Southeast Asia's Viacom International Media Networks branch Paras Sharma. It's true – if you're into esports, you usually dig good music, too. If Hyperplay proves successful, it wouldn't be shocking to see a similar event come stateside, but we'll have to wait and see how things go. In the meantime, if you live in the area, get ready to bump later this year!